Robert and Linda (Modricker) Harting were married on this date in 1980. Bob grew up in the OPC at Emmanuel OP Church in Wilmington, Delaware. He did his undergraduate work, an English degree, at Geneva College in Beaver Falls, Pennsylvania, having such persons as Larry Wilson and Don Kirkwood as classmates and roommates. He graduated with a Master of Divinity from Wesminster Seminary in Philadelphia and was later ordained as a ruling elder at Emmanuel OPC in Wilmington. 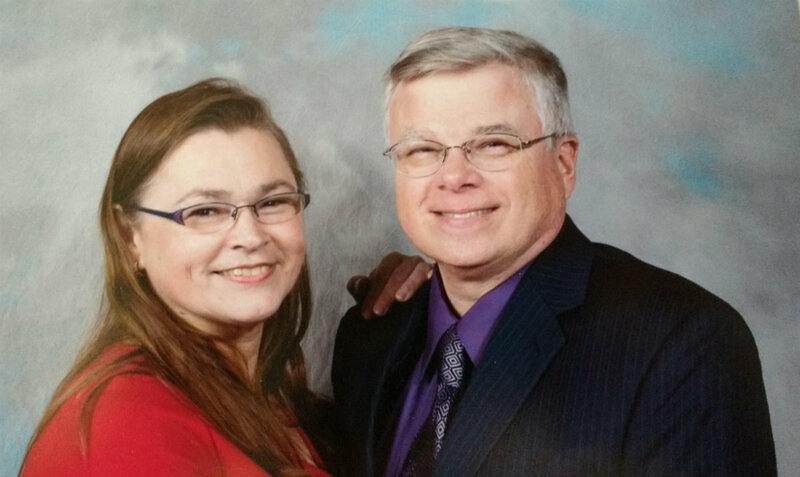 Linda was brought up in a believing family of a Baptist persuasion in the Philadelphia area. By God’s grace, Linda moved down to Wilmington to live with her Uncle and Aunt, Art and Barb Steltzer, who were ministering at Emmanuel. Bob and Linda met at a Bible study Bob was leading at Emmanuel Church. In 1982, they were called down to Grace OP Church in Middletown, Delaware. Middletown was a small farming community at that time. When Linda went to get the electricity turned on for the 1840s manse, the lady at town hall promptly said, “You’re Linda Harting, the new pastor’s wife at Grace! You’re going to the University of Delaware and you’re graduating in June!” Small town life indeed! Through 34 years of ministry Bob and Linda have seen the many cycles of growth at a small town church. Over the years they have become a respected and loved part of Old Middletown. They have ministered and built relationship with local organizations like the volunteer fire company where Bob serves as chaplain, the rotary club, the children’s theater organization where Linda served with her musical gifts for many years, the local town government, and the Middletown Historical Society and the Historic Houses at Odessa. Being faithful in their witness, and trusting in God, their work has touched many lives. May all who come behind us find us as faithful as these! Editor’s note: Today’s entry was written by Bob and Linda’s daughter, Abby.